Matri (Lathyrus sativus) is a low cost and indigenous leguminous crop. we use matri protein isolate as protein source. Physico-chemical, sensory characteristics of infant formula were determined. The product was packed in polyethylene bags and stored at room temperature for a period of 90 days and analysis of the product were done at every 30 days interval. Statistical analysis revealed a non-significant effect of treatments and storage on moisture of infant formula. Statistical analysis revealed that storage had significant effect on the pH and acidity of infant formula, whereas treatment and their interaction effect were found to be significant. All the four treatments showed a significant difference for the pH values of infant for formula. Acidity of infant formula is 1.1 % at the start of the study which significantly up to 1.6 at 90 days of storage period. Statistical analysis revealed that the treatments had a non-significant effect on Protein, Fat, total sugars content and ash of infant formula. 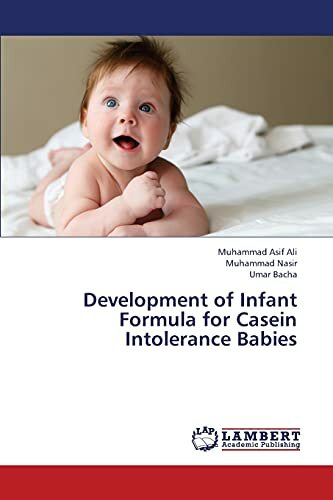 On the other hand, storage as well as the interaction between treatments and storage showed a non-significant effect on the all parameters content of infant formula. Mr. Muhammad Asif Ali is a PhD student in the Deptt. of Food Science & Human Nutrition, University of Veterinary & Animal Sciences, Lahore, Pakistan. Mr. Ali is working under supervision of Dr. Muhammad Nasir, Assistant Prof. & Officer In-charge of Deptt. Food Science & Human Nutrition, University of Veterinary & Animal Sciences,Lahore, Pakistan.